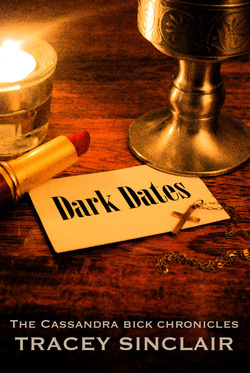 One of the things I have been surprised – and flattered – to hear about my novel Dark Dates is ‘I usually don’t read books about vampires, but I really liked yours’. Admittedly, this is often from people I know, who I basically emotionally blackmailed into buying my book – what are friends for, right? – but it did get me thinking. Why are people so fast to dismiss the genre? Why assume that a writer who is interested in the supernatural can’t bring the same wit, humour and clever prose to a story about vampires that someone can bring to a book about terrorism, or a broken down marriage, or any other subject? Why equate vampires with bad writing? In many ways, of course, this is to do with Twilight. Obviously a huge amount of people love those books (and films) but to the non-believers, they are everything that is wrong with genre fiction – and the fact that fans tend to be young and female (and exceedingly committed) is seen as a taint. Serious, grown up people don’t like books about teenage vampires. It’s the same argument that has been used to dismiss genre fiction for years: look at all those nerdy guys in superhero t-shirts! Of course that means science fiction is stupid. It also gives rise to an insidious double standard – whenever something unarguably smart and challenging comes along, people start falling over themselves to say it’s ‘not really/not just’ science fiction. So a critically acclaimed series like Battlestar Galactica is ‘not just’ science fiction – it’s a biting critique of our post 9/11 world. A massive tome like Justin Cronin’s The Passage isn’t really about vampires, it’s a dystopian look at the consequences of man over-reaching himself, a novel in the tradition of ‘The Road’. (Admission: I can’t actually comment on whether that’s true – the book is so big it’s still sitting, accusingly, on my to-read shelf). Newsflash, though, people: a book can be a fantasy novel, and be smart, and challenging, and original. A TV show can be science fiction, and be about more than spaceships and robots. Some of the best writers in the world are working in genre fiction, whether in crime, thriller, or fantasy. I’d argue that a writer like Terry Pratchett covers issues as big and serious as any ‘literary’ writer (his novels have touched on topics such as immigration, religious extremism and people trafficking) and he is a beautiful prose stylist to boot. Why shouldn’t he get the same critical respect as Ian McEwan? Especially as the decision where to categorize books can seem an arbitrary marketing choice: Madeline Miller’s Orange Prize-winning novel Song of Achilles is sold straightforwardly as literary fiction, which might seem odd when you consider one of the key characters is a centaur who could have walked straight out of the Harry Potter books. And can we stop using the enthusiasm of fans as a reason to bash an author? What’s wrong with creating a world so vivid that people fall in love with it? I’m no fan of Twilight (and I mean, I am really no fan of Twilight), but plenty of my friends are – and they include university professors and high level businesswomen. They’re not stupid people, they just enjoy the escapism the books and movies provide. Yes, some fans go over the top, but that’s not because Twilight is in some way short circuiting their brains – it’s because teenagers get crazy about what they like. That’s part of being a teenager. Teenage girls went crazy over The Beatles – I don’t see anyone arguing that they are a rubbish band because of it. Obviously, I’m not claiming Dark Dates is redefining the genre; it’s really not. Having published a literary novel and collection of short stories that could be called, ahem, ‘dark’, I deliberately wanted to write something fun. It’s just a book about a modern woman, and vampires, and witches, and hunters. It’s not Shakespeare. But I didn’t have a lobotomy between novels and I didn’t ‘dumb down’ my writing for a genre audience. I still tried to make it as smart, funny and well-written as I could, just as any writer does. There are a lot of bad books out there – and, yes, a lot of those are genre fiction. There are also a lot of books that, however well-written, just won’t be for you – but I think it’s a mistake to dismiss a whole genre just because you think vampires are stupid. Give them a chance, you might just be surprised. Tracey Sinclair is the author of the urban fantasy novel Dark Dates, available in the U.K. and the U.S. You can also find her at her Blog. Author Talk- where authors come to talk about anything & everything!